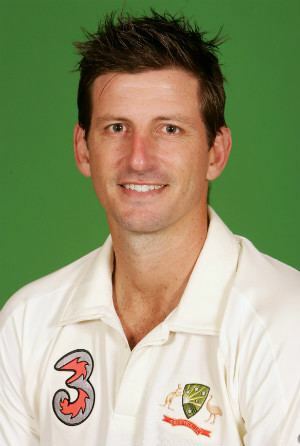 Michael Scott Kasprowicz (born 10 February 1972) is a former Australian international cricketer. He is a right arm fast bowler. He represented Queensland and played in the English county scene at first class level. He made his debut for Queensland as a seventeen-year-old in the 1989–1990 domestic season. He was an AIS Australian Cricket Academy scholarship holder in 1990-1991. In 1991, Kasprowicz played for the Australian Under 19 team which was captained by Damien Martyn. By the 1991/92 season, Kasprowicz became the youngest Australia to take 50 first class wickets. His solid performances for Queensland earned him a Test debut against West Indies in his native Brisbane in November 1996. However, he would go through his first two Test matches for Australia wicketless. After being in and out of the side since his debut, Kasprowicz returned in 2004 to hold down a regular spot ahead of Brett Lee. 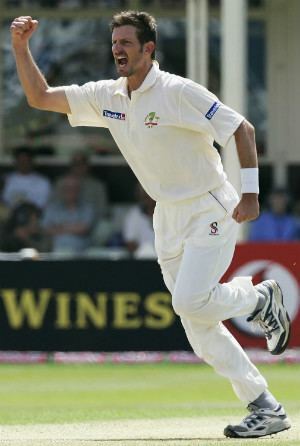 In the 2005 Ashes, Kasprowicz almost pulled off a escape for the Australian team in the second test at Edgbaston. 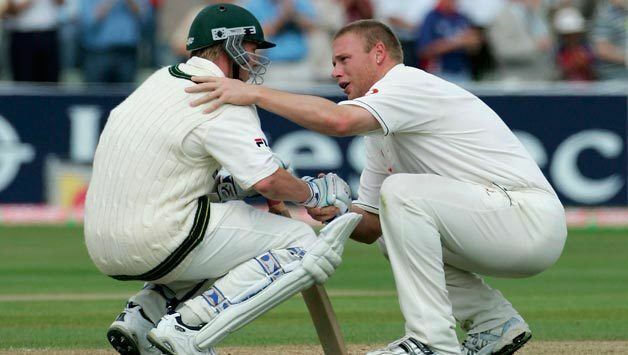 On the final day England needed one last wicket with Kasprowicz and Brett Lee at the crease. However the two batsmen had edged Australia to within two runs of England. But then Kasprowicz gloved a Steve Harmison ball to Geraint Jones and England won. Though TV replays showed the dismissal should not have been given as Kasprowicz took his lower hand off the bat before ball hit glove. After the 2005 Ashes loss to England, Kasprowicz was dropped from the Australian team and his Cricket Australia contract was not extended. However, he had a successful 2005/06 domestic season with Queensland, taking 44 wickets. 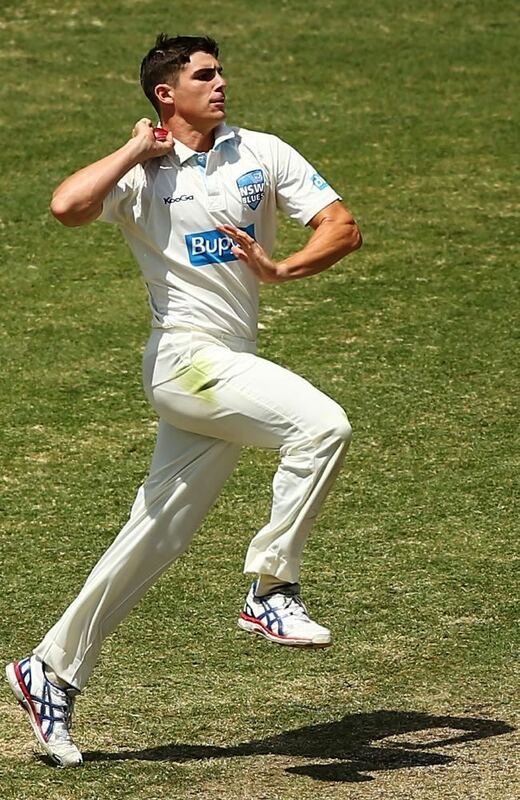 This effort earned him a tenth recall to the national side to replace Glenn McGrath as Brett Lee's new ball partner. Kasprowicz represents Mumbai Champs in the Indian Cricket League. Kasprowicz's name was not added to the list of national contract awardees announced by the ACB on 1 May 2007, and on 8 February 2008 he announced his retirement from all forms of cricket effective 16 February. Kasprowicz played in all the Tests on the tours of Sri Lanka and India in 2004, which were won 3–0 and 2–1. Kasprowicz is the older brother of former professional rugby union player Simon Kasprowicz. Their father is from Poland. 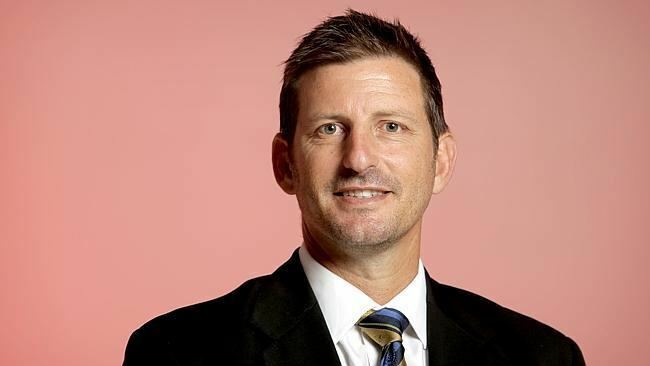 Kasprowicz was a director at Cricket Australia from 2011 to 2016 before becoming interim CEO of Queensland Cricket.